The Board of Global Fund for Women is pleased to announce that Ms. Latanya Mapp Frett has been appointed as the next President and CEO of Global Fund for Women beginning July 1, 2019. “At a time when Global Fund for Women has committed to significant growth and expansion, we are tremendously excited about bringing a visionary leader on board to invigorate our thinking and our work. Latanya possesses both professional acumen and demonstrated passion for the mission of Global Fund for Women. She embodies the values of Global Fund for Women and offers breadth and clarity with regard to her vision of women’s rights movements,” said Layli Maparyan, the Co-Chair of the CEO Search Committee. Ms. Mapp Frett currently serves as the Executive Director of Planned Parenthood Global, the international arm of Planned Parenthood Federation of America, with regional and country offices in Africa and Latin America. She is an attorney by training who has worked with governments, NGOs, and multilateral sectors. Ms. Mapp Frett believes in shifting power to the South and understands that change is a responsibility of many players. In a career which has been dedicated to the Global South, often in countries in conflict, Ms. Mapp Frett has shown phenomenal prowess as a fundraiser, with a demonstrated track record of raising large sums with multinationals, foundations, and individual donors. 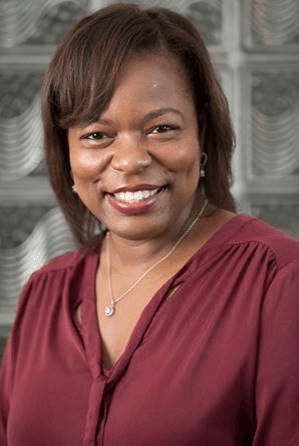 Prior to joining Planned Parenthood Global, Ms. Mapp Frett worked for 8 years as a human rights officer for the United Nations Children’s Fund (UNICEF) and for 10 years with the United States Agency for International Development (USAID). Mapp Frett served as a delegate to the Fourth World Conference on Women in Beijing in 1995 and continues to fight for the human rights of women. She has experience reporting to diverse and complex Boards and has supervised many large staffs across continents and inter-cultural diversities. She knows the landscape of the USA as well as the global terrain, with its many nuances. Ms. Mapp Frett began her career at the NAACP Legal Defense and Education Fund in Washington, DC. She has received many honors and awards, including two Esteemed Meritorious Honor Awards from the U.S. government and the highest honor in civil service, the Superior Honor Award, from the U.S. State Department. Ms. Mapp Frett was one of 30 Foreign Service Officers honored with the Colin Powell Fellowship by then-Secretary of State Condoleezza Rice. She currently serves on the Board of Directors at Oxfam America and CHANGE, and is an Adjunct Professor of Population and Family Health at Columbia University’s Mailman School of Public Health. She is a Woodrow Wilson Fellow and author of four U.N. human rights reports and manuals. She is a Returned Peace Corps Volunteer and Alum of ICAP. She is a member of the prestigious Council on Foreign Relations. She holds a bachelor of arts in government and politics, a master’s in public policy, and a Juris Doctorate from the University of Maryland. “Global Fund for Women is fortunate to have been able to select Latanya from a very strong field of candidates, reflecting the enormous importance of the current moment in the fight for women’s rights,” said Blythe Masters, Co-Chair of the Board.